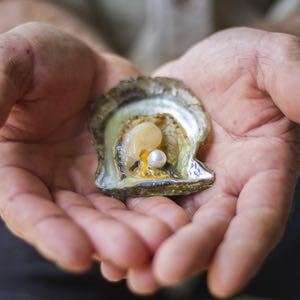 1 hour North of Sydney is NSW’s only pearl farm – Broken Bay. Learn the technical operations of seeding and harvesting an Australian Akoya pearl. Travel by boat through the pristine waters of the region, traditionally known for its 150 year old edible oyster industry. The beauty of a pearl can be reflected in many of its virtues. Sit side- by-side an expert pearl grader to learn the five virtues that determine the value of the pearl. Finish the day with local rock oysters and sparkling wine as we toast to the voyage to come. Join is in celebration of the Australian Pearl at Shinju Matsuri (Japanese for “Festival of the Pearl”) in Broome, WA. 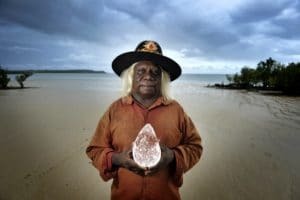 Enjoy Yum Cha on Broome’s street of pearls in Chinatown, and discover Broome’s beautiful culture and rich pearling history on the Jetty to Jetty tour guided by traditional owners Nyamba Buru Yawuru. 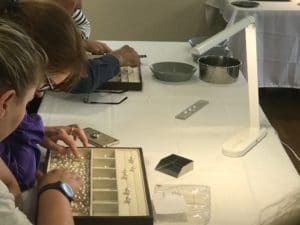 2 hours North of Broome is Australia’s longest operating Australian pearl farm, the original Australian owned and operated pearl farm spans four generations of the Brown Family over more than 70 years. Until recently, it has been an exclusive pearling village accessible only to our pearl farm team and the local Bardi people. 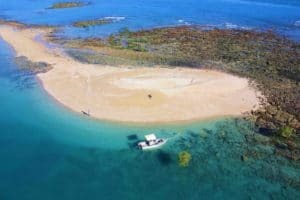 In an industry first, Cygnet Bay Pearl Farm “opened the gate” and invited travellers to share in this very special place, recently described as “one of the most unique destinations in Australia”. Have you ever seen a waterfall in the ocean? Witness a tidal phenomenon that has to be seen to be believed. This ultimate Sea Safari showcases the unique reefs and tides only found in the Kimberley. Experience an abundance of islands which form the Buccaneer Archipelago, combined with the worlds largest tropical tides, exposing the unique natural phenomenon of the Waterfall Reef. 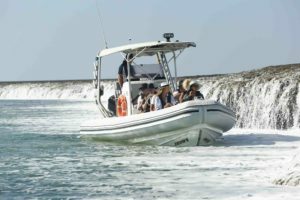 The highlight of this tour is the emergence of a reef with a cascading waterfall on outgoing tides. 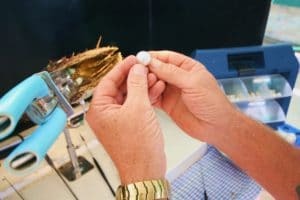 After a day of seeing the technical operations and on-water components, it’s your turn to try your hand at the very special skill of cultivating a pearl. We’ll hand you a mature shell which is due for harvesting. Using the tools that experts use, you’ll harvest your own pearl from the shell, before seeding it with your own nucleus to be replaced into the ocean to cultivate over the coming years. 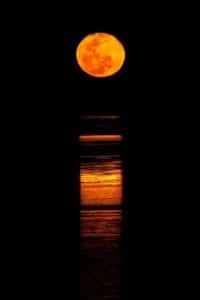 Enjoy the natural phenomena of the Staircase to the Moon at Cygnet Bay’s amazing lookout where we’ll treat you with a seafood BBQ while the the full moon rises across the exposed tidal flats creating the impression of a staircase leading to the moon. We culminate this voyage by taking you back to the beginning of pearling, 22,000 years ago when the earliest Indigenous use of pearl shell has been recorded. 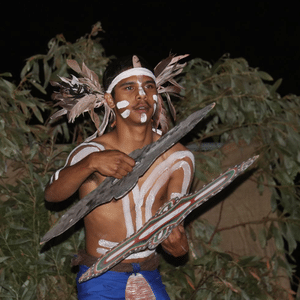 A local traditional guide will share his stories while teaching you the ancient history of the region and the art of riji carving – the engraved shell. Situated on the NSW Bouddi Peninsula and surrounded by untouched National Park and pristine beaches, Bells at Killcare is a five-star boutique resort where we’ll stay for the first two nights of the Voyage. Relax and reconnect at the world-famous Cable Beach. 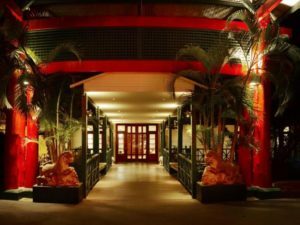 Home of the award-winning Cable Beach Club Resort & Spa, Indian Ocean sunsets, gently swaying palm trees, and Kimberly charm, it’s truly a destination like no other. With two pools, delicious cuisine, leisure facilities, and Chahoya Spa by L’Occitane, Cable Beach Club offers a place to unwind and create lasting memories. The original Australian owned and operated pearl farm spans four generations of the Brown Family over more than 70 years. Until recently, it has been an exclusive pearling village accessible only to our pearl farm team and the local Bardi people. In an industry first, Cygnet Bay Pearl Farm “opened the gate” and invited travellers to share in this very special place, recently described as “one of the most unique destinations in Australia”. $8,500 per person (twin share rates available on request). 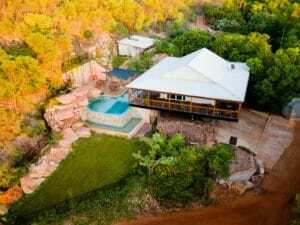 Includes flight Sydney to Broome (economy), meals & accommodation.